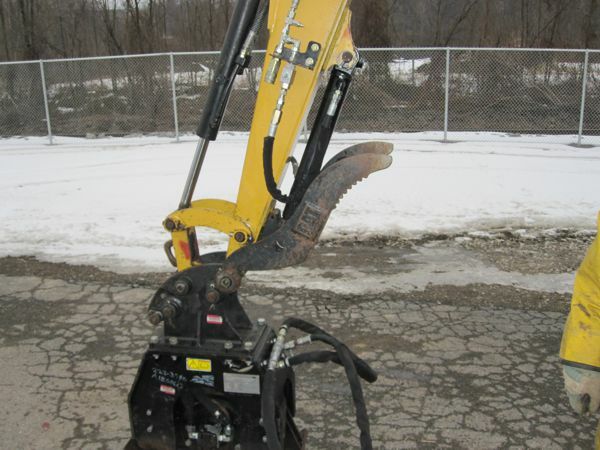 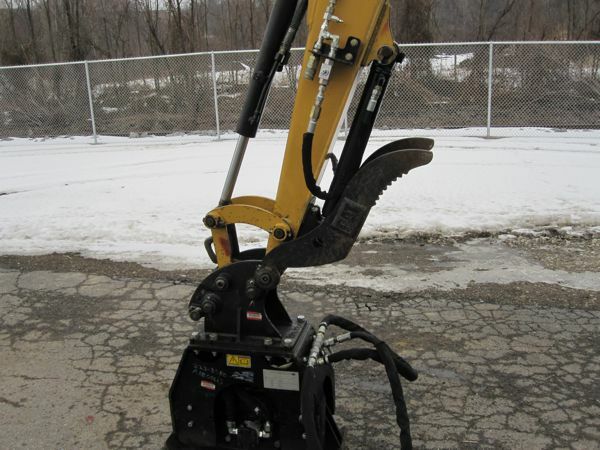 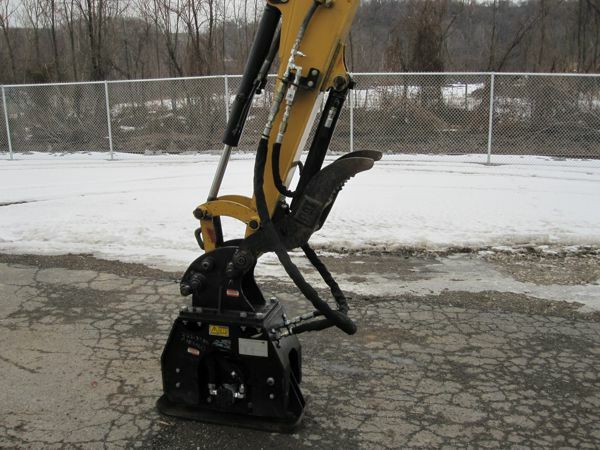 This CAT excavator did not have the connections to power auxiliary hydraulic attachments without having to disconnect the thumb hoses. 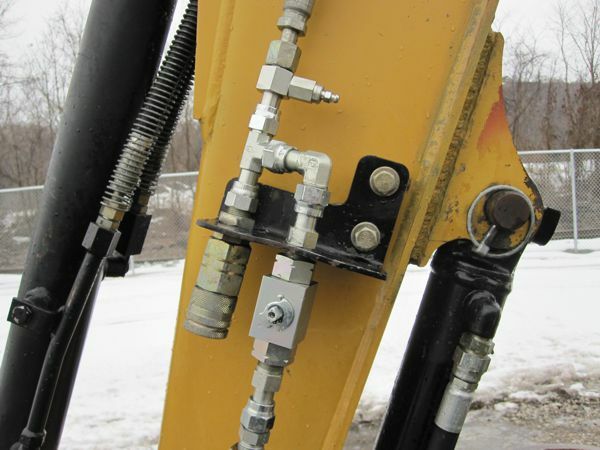 Kudas Industries modified the hydraulic system by installing Tee fittings, high pressure ball valves, quick disconnect fittings, and bleeder valves so that the auxiliary hydraulics could power attachments without having to disconnect the thumb hoses. 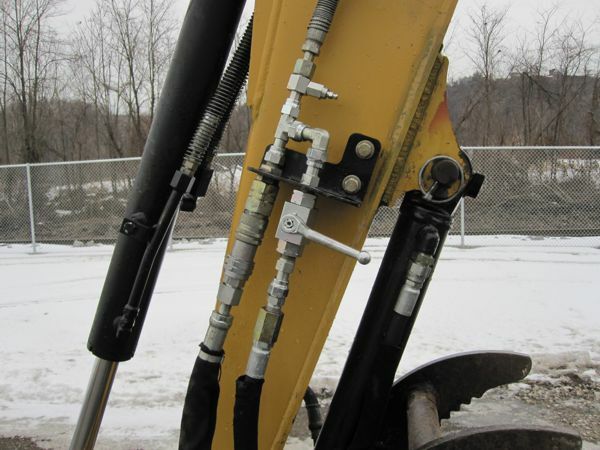 The ball valves isolated the thumb so that auxiliary hydraulic power would be transferred to the attachment. 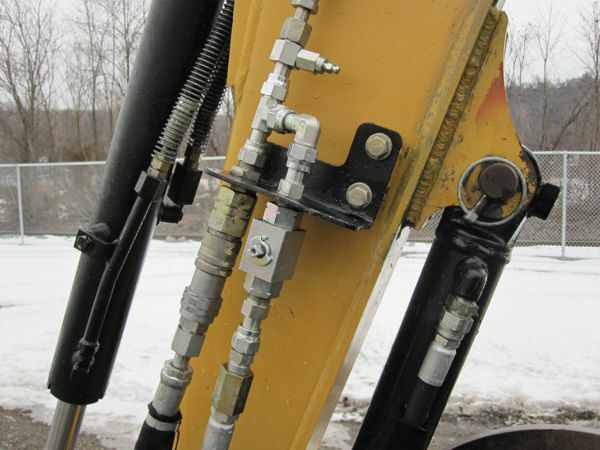 When the attachment was disconnected the ball valve was opened allowing hydraulic power to the thumb.